Amazing Phone With Good Looks. Good camera quality. High resolution, high processing speed. I don&apos;t find anything which is bad. 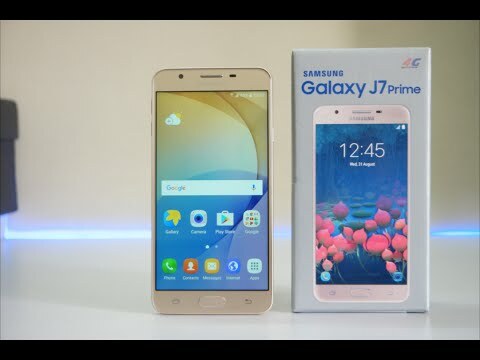 Samsung j7 prime is the phone that i wanted and it has lived upto my expectations. The phone is awesome and too cool to use, and there is no lagging problem. The sound quality is less. A good quality product with better features . One of the reliable sets available in the market. 4 Pricebaba users have written their experience with Samsung Galaxy J7 Prime 32GB. If you own Samsung Galaxy J7 Prime 32GB, please do leave your feedback too. Lowest price of Samsung Galaxy J7 Prime 32GB price in India starts at Rs. 14,923 Samsung Galaxy J7 Prime 32GB is available on Flipkart at Rs. 15,300 and on Amazon at Rs. 14,923. Prices updated on 25th April 2019. The Galaxy Series’ popular mid-range models, the J-series lineup were widely accepted by the masses as budget friendly smartphones. They are also well power packed in terms of battery life making them an all rounder in this budget segment. The J7 prime doesn’t fail to impress either in terms of power or value for money. The device sports a 5.5-inch LCD panel which is enhanced by Corning Gorilla Glass 4 for added protection. It has a crisp Full HD display having a resolution of 1920x1080 having a pixel density of roughly 400ppi. The device bears a metal unibody design making it feel like a premium device to handle. The Galaxy J7 Prime is powered by an octa-core Exynos 7870 processor which has a clock speed of 1.6GHz for seamless use. It is also backed by a Mali - T830 GPU for a better gaming experience. The phone runs Android Marshmallow out of the box. It runs Samsung’s custom user interface built over stock Android called TouchWiz. The device also incorporates a fingerprint sensor in the home button for better security and quicker access. The J7 prime sports two cameras, one in the front for selfies and the other as a primary camera at the rear. The rear facing camera is a 13MP sensor capable of recording Full HD videos in 1080p. The front-facing selfie camera has an 8MP sensor with face detection. For storage, the device has 32GB of inbuilt storage on board which can be expandable up to 256GB through a MicroSD card. It also has 3GB of RAM for smooth multitasking. The battery of the device is a good 3300mAh of raw power that can get you through the day with ease. For connectivity, the device supports 2G, 3G and is 4G VoLTE ready in India. Ans: It has a 8MP selfie camera so the selfies would turn out really good in the phone. 8. How much time does Samsung Galaxy J7 Prime take to charge? Ans: Samsung Galaxy J7 Prime takes around 1 hour 45 minute to fully charge.